Welcome to the March 2011 edition of Festival of the Trees! This has been my first-ever experience with hosting a blog carnival, so please let me know in the comments if I’ve screwed up at all. I received a ton of fascinating submissions from all over the world and had a fun time trying to organize them in some coherent fashion. Many parts of North America (though not mine!) and the rest of the world have been experiencing a long and snowy winter, but have no fear, some of this month’s contributions to Festival of the Trees prove that spring is on the way at last. 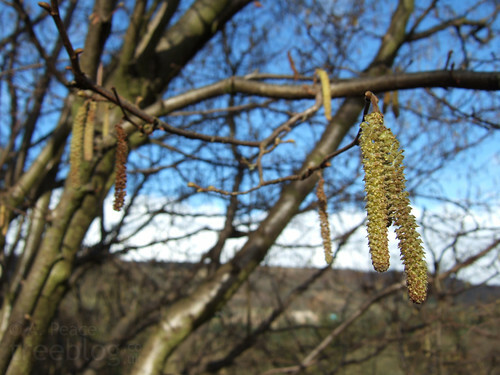 Ash in the UK has discovered flowering hazel trees and swelling buds, preparing for a new season of growth. Much closer to home (I live in south Georgia at the moment) Joan went for a hike in Fort Yargo State Park which she recounted at length on her blog and found emerging ferns and orchids, and more catkins. Some of us looked at trees and were reminded of literature or music. Casey and Joy, on opposite sides of the world in Iowa and Australia, were both reminded of Lord of the Rings when contemplating their local woods. Casey wonders whether our obsession with understanding and naming every component of a forest might do more harm then good, and quotes Gandalf, who pointed out that “he that breaks a thing to find out what it is has left the path of wisdom.” Joy, walking through a subtropical rainforest in northern New South Wales, thinks that dinosaurs would still feel at home under these tree ferns and ancient beeches – and so would Ents. I myself even made a link between the epiphytic resurrection fern that grows on our oak trees and a song by Iron & Wine. Once you start noticing how beautiful trees can be, why not start taking things a step further by incorporating them into art? Two trees in London have been converted into “urban bird villages,” while in Wales an artist is twisting willow trees into sculptures. Festival coordinator Dave Bonta passed along a link to a profile of tree sculptor Thaddeus Mosley. Anne Mølleskov thinks these marks left by foresters could pass as art, too. And of course, sculpture isn’t the only kind of art that trees can be of use in – in a post ideal for the week after the Oscars, Elizabeth in Oregon writes about the use of cottonwoods in the cinematography of True Grit. We don’t only value trees for their beauty; they have practical uses, too, something the Forest Keepers of the Cape Cod Tree Service encourage us not to forget. He was referring to trees’ ability to feed us, but Nellie has also been using them to feed the birds, converting her backyard walnut tree into an instant bird feeder by pressing suet, peanut butter, and berries into the furrows of its bark. With all that trees do for us, how can we ever put a monetary value on such things? Pip Howard is at least attempting to, taking into account a tree’s location and the biodiversity of its associated community, among other things. Perhaps her work would be of use to Laura, who is concerned about the possible privatization of Forestry Commission land in Great Britain. Sometimes trees are so lifelike that it’s impossible to resist the temptation to anthropomorphize them, attributing human characteristics to them. Wendy wonders about the long, faithful lives of a thousand-year-old oak in Dorset and a spruce growing from a 9550-year-old (!) root in Sweden. (What is it about ancient oaks, in particular, that inspires the imagination? Michael visited an massive, twisted oak in France, while Ben submitted a post about a rare stand of old-growth oaks in Scotland.) “B-A-G” writes about an apple tree so beloved it was practically a member of the family, which he was overjoyed to cultivate an offshoot of. Trees can be agoraphobic, trying to block out the sky with their limbs, and they can wake up on the wrong side of the bed come springtime, if Dave Bonta can be believed. They can even travel to the moon! As a naturalist by trade, I admit that my favorite submissions were the ones dealing with natural history. Lucy in Dorset is determined to document the life of a sycamore tree and its neighboring plants throughout the year, taking an interest in phenology, the study of the timing of life cycles of plants and animals. In Pennsylvania, Marcia Bonta has written a beautiful essay on the life history of the American beech. Mike at Slugyard recently spent some time examining how tree wounds heal in his yard in Oregon. Down here on the coast of Georgia I’ve visited the endangered longleaf pine/wiregrass ecosystem, while in Utah Jade passed through pinyon-juniper woodlands. Roberta stumped me with one of her recent “Seed of the Week” photos, eventually revealing that they were the seeds of a sissoo tree, a species introduced to the southwestern U.S. from India. Squeaking in just under the wire as I was putting this post together, Georgia at Local Ecologist contributed a post about two different trees called mimosa. And that’s a wrap for this month’s Festival of the Trees. Thirty-six links by my count, whew! Georgia will be hosting the April edition – she’s particularly interested in submissions dealing with Arbor Day or other real-world tree festivals, and would like to have them by March 28. Send them to her at info(at)localecology(dot)org. This is an awesomely-written festival, Rebecca! I read it through once and will read it again, clicking through to the links. Very impressed with the way you have put all our Tree posts together here Rebecca. Can’t be easy keeping the continuity and assembling them all in some order. Lots of tree bloggers to follow up here which should keep me busy. Thank you.. and some great images too. 36 links! Wow- nicely done. I look forward to exploring. What a richly rooted, fertile, verdant collection of celebrations of our Tree People around the world. 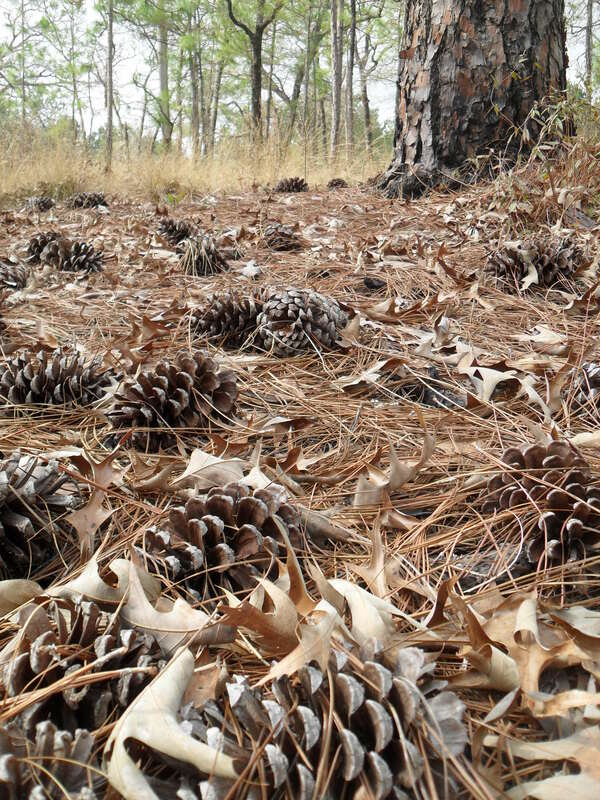 I feel as tho each is a reverent offering into a sacred circle. Thank you for this. Great festival – I’m already in the middle of exploring! Hi Rebecca , Thanks for including my post in the Festival of the Trees Blog Carnival. I can only repeat what others have said about your clever compilation, with only a couple of days between the deadline and publication dates. PS. Thanks, also, for introducing me to the word “anthropomorphize”. rebecca, thank you for putting it all together. i sent you an entry on the 25th – did you not get it? It’s towards the end of the third paragraph. Excellent job, Rebecca! And thank you! I’ve really enjoyed how you put this together. Very easy to read. Thank You for hosting all of us! well, i’m still working my way through, but this is a lovely journey through ‘your’ festival… nice one!! just noticed i didn’t include my link, but you have more than enough to read. Awesome work! It’s all about the trees!